A lot of the great things we have here in America, are because of immigrants. Food, music, and holidays are just some of them. A big holiday came from Ireland, and it is Saint Patrick's Day. Donald Trump wants to send all of the immigrants back, well what's gonna happen to us if that happens? Happy Saint Patrick's Day, Donald. Don't forget where that red hair came from! 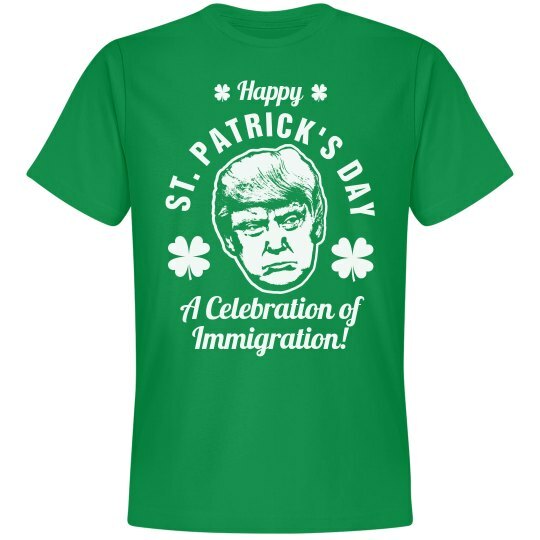 Custom Text: ST. PATRICK'S DAY | Happy | A Celebration of | Immigration!